Welcome to a gorgeous, crisp and clean ranch! 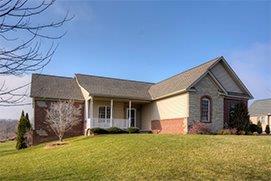 With lake access to Mohican Lake and Bass Lake you will never tire of lake living. This wonderful home has been updated and is in perfect move-in condition. The great room with cathedral ceiling has a cozy gas fireplace just ready for the Michigan winter ahead. With an ornate wood mantle, it is truly a focal point. 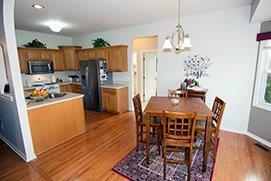 The kitchen has plenty of cabinet space and stainless steel appliances. There is a bright breakfast nook, with plenty of room for a table. This area has access to the huge back deck through a sliding door. The views of Mohican Lake are beautiful from the deck. The master bedroom is nicely sized. The master bath room has been totally renovated and is spectacular. The other two main floor bedrooms share the main bath. The finished lower level comes complete with a fourth bedroom, a full bath, family room and a kitchenette. This move-in ready ranch sits on a half acre landscaped lot with a sprinkler system and large new shed. Updates include: New Roof (2015), carpeting, paint in every room and appliances. The side entry garage also has plenty of storage space. Put this one on the list to see in the Ann Arbor real estate market. You will not see another one like it with this price!